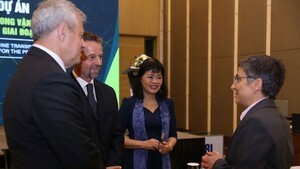 A week of Belgian culture will be held in Hanoi and Ho Chi Minh City on November 12-18. The week is a chance for Vietnamese visitors to discover well-known Belgian products, such as chocolate, beer, waffles and fries. Tintin, is the fictional hero of The Adventures of Tintin, the comics series by Belgian cartoonist Hergé. The Smurfs appearing in the original comics series, television series were created by Belgian cartoonist Pierre Culliford in 1958. The saxophone, roller-skates and the World Wide Web are Belgian inventions. Belgium has about 178 breweries that produce more than 800 different beers and the most castles per square kilometer in the world. The country produces over 220,000 tones of chocolate per year.